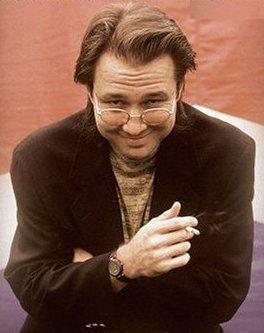 Bill Hicks was the funniest and profoundest stand-up comedian ever. Since his death on February 26th, 1994, there has been no other comedian to rival his incisive wit, his cutting, analytical insights and his incredibly funny delivery. He was compared to Lenny Bruce, mostly because his material seriously challenged accepted conventions and mores. He wasn’t really like Bruce at all; Hicks was original and unique. Several of his live performances are available on DVD. The best one is Revelations, followed by Relentless and One Night Stand. If you want to listen to a CD performance, then the best one is probably Philosophy: The Best of Bill Hicks, because it does actually contain the best material from several CDs. Bill Hicks died of pancreatic cancer and his untimely death left a void in the comedy world that no one else has ever been able to fill. If you’re not familiar with Bill Hicks, then check him out. He’s funny and profound – a winning combination. This entry was posted on December 3, 2008 at 2:36 am and is filed under Comedy, Hicks, Bill, Humour, Satire, Stand-up Comedy. You can follow any responses to this entry through the RSS 2.0 feed. You can skip to the end and leave a response. Pinging is currently not allowed. Geez. This guy’s just about the most jacked-up so-called comic I’ve ever heard. He’s not funny, not profound, not anything of value. Just a foul-mouthed ranter. Who cares?